Apple Day with lots of lovely apple crafts and activities! Apple pressing: 11:00-13:00 Apple day activities: 12:00 – 16:00 Harvest Hunt: 13:00-14:30. 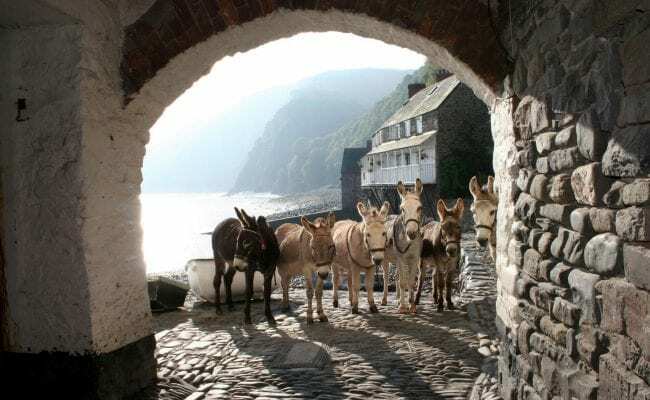 On arrival at Clovelly, apples are pressed just outside the visitor centre by Gatcombe valley Juices. Bring a bag of apples, have them pressed, taste the juice. Bring more for pasteurisation and bottling (£1.90 per 75 cl bottle). 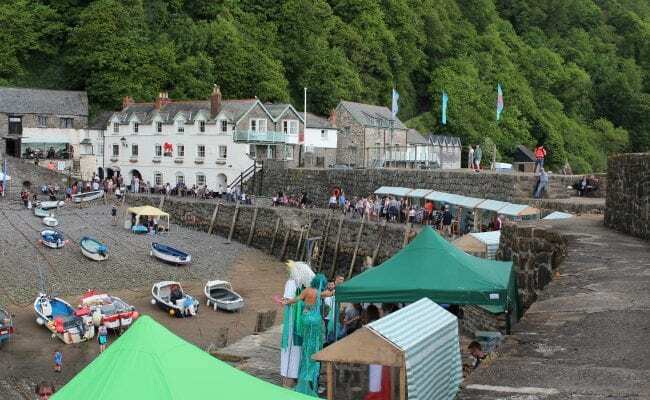 On entry to Clovelly, enjoy apple crafts and activities in the Visitor Centre (children under 7, free). The rounded shapes of the great reds and greens make the apples perfect for creating many art projects with the help of The Plough Arts Centre. Carve, sculpt, decorate or do all three. There is also live music, apple bobbing, apple stamping and making corn dollies. Isabella Necessity on her Story Bicycle. A cycling botanist who loves sharing tales of her incredible journeys and will quickly whisk you into her amazing world. A small Farmers market includes stalls with the pick of pumpkins, fresh local vegetables and herbs. The WI will be judging our Apple Pie/Crumble competition as well as selling their special homemade cakes. At 13:00 families can also take part in a fun Harvest Hunt with the Clovelly Tour Guide, Jana Edwards. She will take you down and around the craft yard and Mount Pleasant with spooky stories and clues on the way, so you might win a harvest treat. Pre-book your place Tel: 01237 431781 as she gets very booked up and spaces are limited.